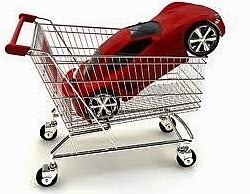 GST : Car Price up or down? Suggesting that unsold stocks after April 1, they would either pass on the 80% of the remaining SST to customers or absorb it. a) The invoice does not show sales tax chargeable, it becomes 20% special refund. 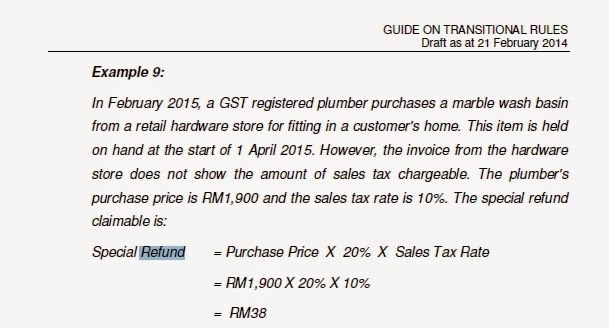 b) However if the invoice show sales tax chargeable, does it mean 100% claimable special refund? Based on this guideline, a) and b) above, the price after April 1 is totally different, whereby 80% SST could be transferred to consumer for condition a), or 0% SST is to be transferred to consumer for condition b). One thing for sure is that Custom does not require each company to perform 100% closing stock, and this also proof that Custom department does not care about pricing after GST implementation, as 80% SST old stock for all the industries is to be transferred to the consumer, 100% SST for those does not perform closing stock calculation, thus, this pricing formula is actually set by the Custom itself.